I teach in my private vocal studio at home. Ages range from 8 to 65. I started teaching in 2009 after completing a Diploma of Secondary Education and have also completed a Bachelor of Music Performance Voice (Classical). I am a qualified singing teacher, I have many years of vocal training and experience with various teachers and vocal coaches, the most notable and influential teacher being Margaret Nisbett (MBE). She instilled me with the belief that a solid technique is the foundation of all good singing and more recently doing the Lovetri method has inspired me to focus on vocal function and listening in a different way. 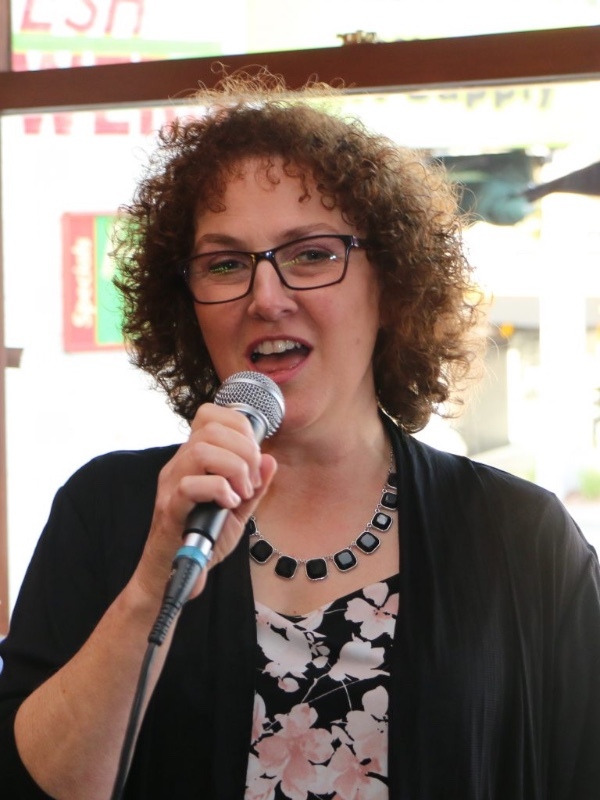 I am passionate about the voice, teaching, learning and implementing new techniques to better enable my students to achieve their goals.I have over 15 years performance experience and am a founding member of Anything Goes Singers who perform repertoire from the swing era and beyond. I am proactive in creating performance opportunities for my students and my group. I regularly attend workshops and conferences to keep upto date with the latest information on the singing voice and contemporary methods of vocal training. Styles taught: All styles of music; including pop, RnB, Folk, Jazz standards, Music Theatre etc. I love Somatic Voicework. The results with student has been amazing. They instantly sing with more energy. An 11 year old student who previously hated vocal warm-ups said "it's exciting"! Yay! An 18 year old who never wanted recordings of his lessons, now does!